All 3 co-founders of PromoRepublic (Max, Mike and Val) were many years involved in digital agencies as employees and founders. We have built hundreds of successful social media marketing campaigns and promotions with various content strategies for our customers: large companies like Danone, Ferrero, Philips, PepsiCo, Johnson&Johnson. For Kimberly Clark’s brand Huggies, we even created a niche social network, that is still leading on its market. For agency's customers, social media marketing is one of the main channels in their marketing strategy. Being experts we knew exactly that SMEs could benefit from doing social media marketing even more! However, given agency's business model, we never could help SMEs with their social marketing because small businesses do not have budgets for that. Sadly they also don’t have knowledge to do it themselves. They cannot hack all those Edge Ranks and other algorithms and methodologies of social media marketing to make this channel work! To fix all that we quit our cool agency jobs and started PromoRepublic, that makes professional, agency-level content marketing on social networks affordable and accessible for SMEs. 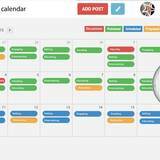 With PromoRepublic, even a beginner can feel like a content marketing guru and create outstanding, effective and viral posts in social networks. We believe professional content marketing can become easy and fun, even for first-time marketers without technical, design, editorial, and social media marketing skills. 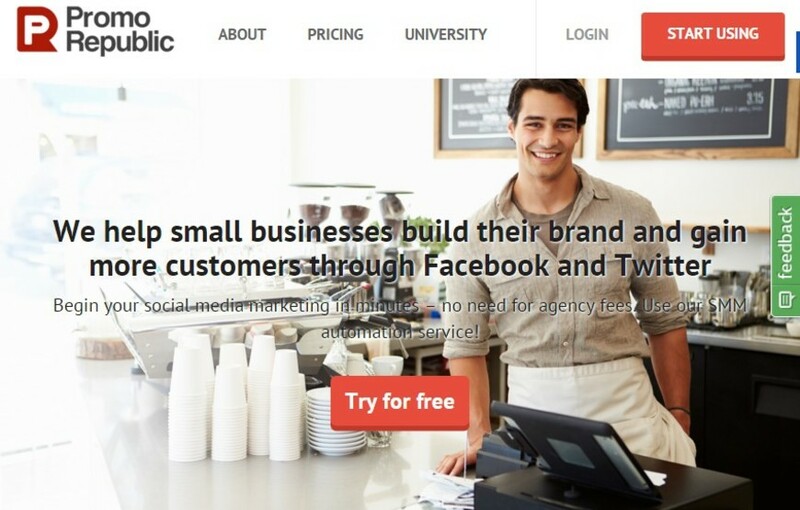 Joining forces of small businesses in PromoRepublic will make them more competitive and successful. "Our goal is to let entrepreneurs focus on business and not waste time studying marketing and monitoring trends on social networks. 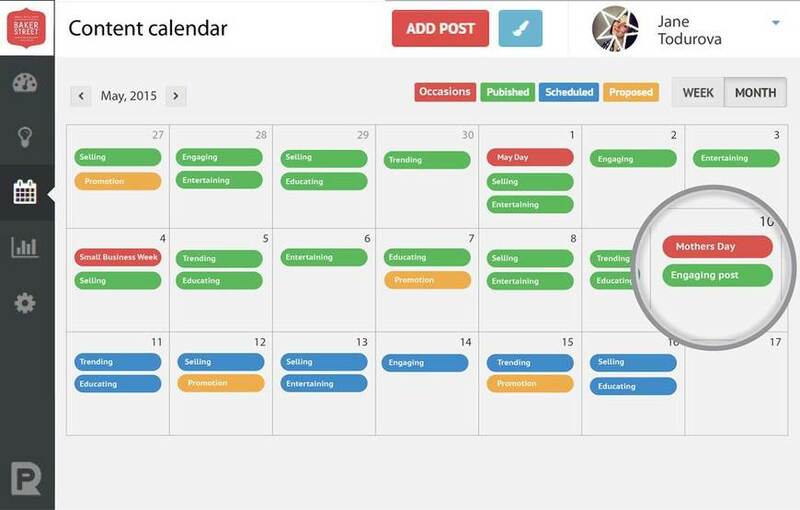 Due to automation you can spend only 30 minutes a months for planning and managing social network presences", - CTO of PromoRepublic Mike Baranovsky. Watch short video on how simple content creation for social networks should be. With PromoRepublic, of course! 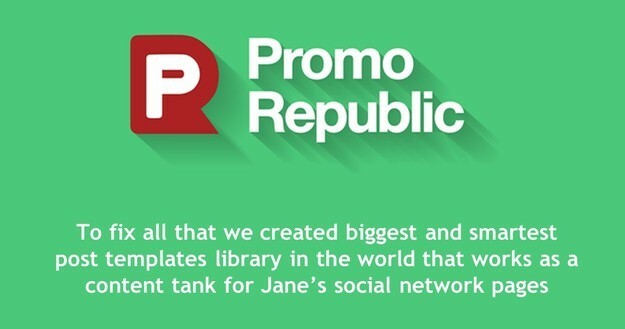 In its first version (2013) PromoRepublic was a platform for creating promotions and contests on social networks. After a few months after launch the startup generated ca. €30,000 in revenue, and its services were used by more than 1,000 companies. 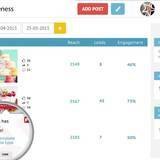 PromoRepublic’s results were noticed by venture funds and business angels. At the first stage the startup received investments from Eastlabs business incubator, digital agency and by a group of business angels including a managing partner of Techstars Semyon Dukach and business modeling guru David C. Lottenbach. "We were making good money in our first year, but building a global SaaS business with monthly recurring payments wasn't an easy task. No one needed contests each month, and we operated sales and tech support manually. 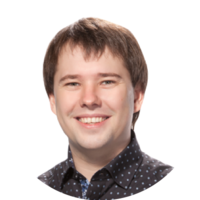 But we noticed that small businesses needed help with content marketing on a daily basis and we decided to give them a readymade solution for their problems", - Val Grabko, CEO of PromoRepublic. Startup exited Ukraine and participated in an Estonian acceleration program Startup Wise Guys. After this program PromoRepublic made a pivot to content marketing SaaS for SMEs, and started working on overseas markets. After successful relaunch, the project went through acceleration programs Startup Chile and Startup Sauna, got to know LatAm and Finnish business ecosystems, accelerated its growth and attracted €100,000 in grants and investments. "We decided that Helsinki will be a base for our global expansion. We raise Seed Round and next year we plan to develop our service in the American market, where we have just launched. We have quite ambitious plans on growth and R&D for 2016. 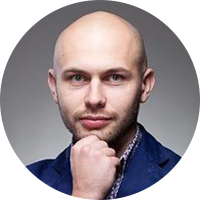 ", - Business Development Director, Max Pecherskyi. We are glad to announce, that PromoRepublic made it to top 25 startups of SLUSH.org (1500 applied). Click here to watch video of our pitch on SLUSH stage. 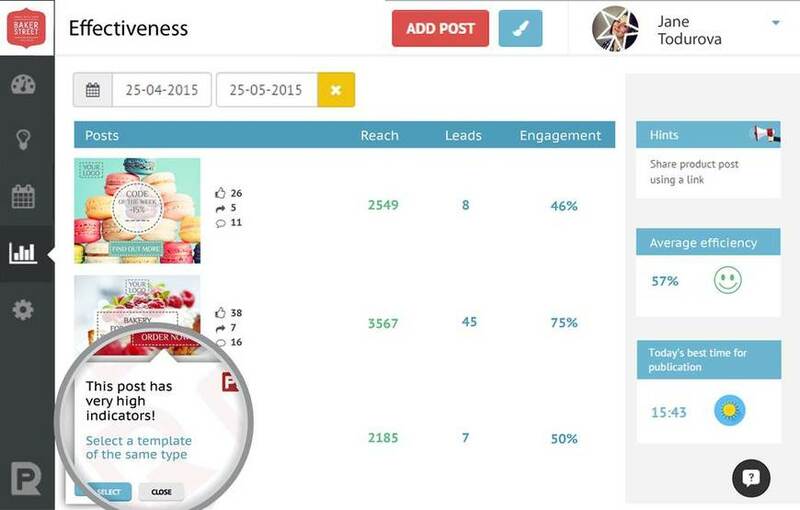 PromoRepublic, a service for content and social media marketing automation for small and medium-sized businesses. With PromoRepublic, even a beginner can feel like a social media guru and create outstanding, effective and viral posts in social networks. The service is based on a large template library which is used for generating content and posting to Facebook, Twitter and other social networks. 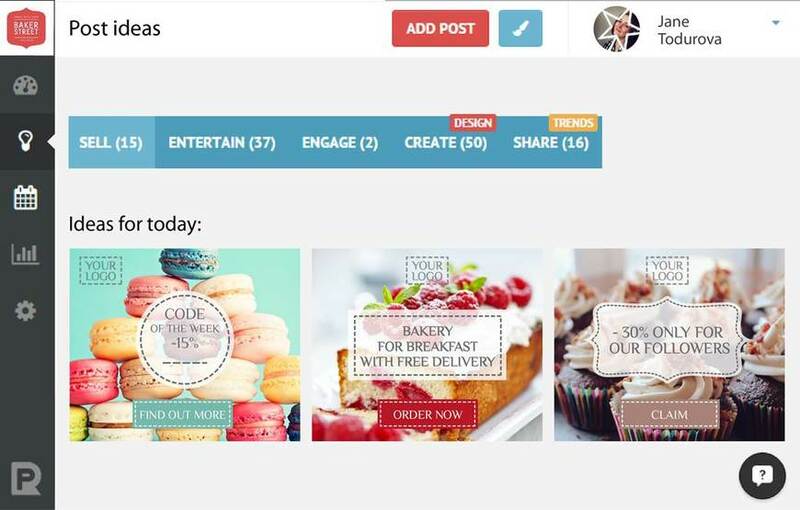 What differentiates PromoRepublic from other social media instruments is its template library for different industries and a smart suggestion engine that recommends to users what kind of post is optimal to publish on a given day. Recommendations are based on business type and context of the day such as the day of the week, season, holiday, weather or even a local internet trend. Stats with detailed information on each post and recommendations how to improve performance and reach new audiences are delivered to users’ mailboxes. 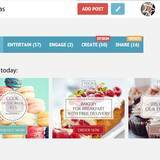 Templates library will transform into templates marketplace (Shutterstor of post templates) that will be crowdsourced through certified social media marketing experts, designers and copywriters. Monthly subscription model. Do It Yourself starting at €10/30 per months (depending on market). Do It For Me services starting at €190. Free trial period lasts 14 days. In November we launched Content Shop in closed beta, where users can order unique content of all types: blog post, infographic, comics. We will implement the possibility of in-app purchase of premium templates and template bundles in Q2 2016. This will raise average revenue per user. 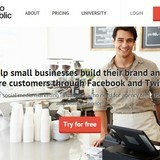 Today PromoRepublic is used by 8,000 small businesses from the CIS region, BR, UK, CA, FI and the US. These companies have connected 10,000 pages to the service and generated 40,000 posts. At the moment there are close to 500 paying customers growing. The company's headquarters are in Helsinki and development office is in Kiev. The startup has 12 employees. Team is very-very lean so we can do more for each invested euro. The goal for 2016 is to get 5,000 of paying customers and achieve 100keur monthly recurring revenues. PromoRepublic is operating in a growing segment (content marketing automation) of proven market. Segment enjoys a 60% growth. Automated platforms will soon gain the lion’s share of the market, while agencies are likely to get burnt. The regular acquisitions of marketing automation startups by giants like SalesForce.com, Adobe, and Oracle are evidence of a growing market. co-financing through tekes.fi (Finnish fund for innovation) that results in less risk, longer runway and less dilution for investors. We would like to start with motivation of co-founders. This is something that is most important, we think. Val was the guy who had the idea of PromoRepublic. Val was serving small businesses owning and managing an SME agency, and it was very hard. Budgets were small and demands of customers were big. Val decided to use automation and templates to make serving of SMEs scalable. Max is a co-founder of digital agency and marketing expert. Max was a lead mentor of PromoRepublic in accelerator where startup was born. He helped with branding, sales and marketing. After that, digital agency invested into PromoRepublic. 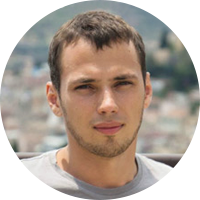 In 2014 Max, got inspired by the progress and decided to switch to PromoRepublic operations. He accepted the challenge to make PromoRepublic globally successful. Mike is a CTO with a strong experience in building complex applications and engagement platforms within digital agencies. His motivation to quit digital agency and join startup team was to stop jumping from one project to another and work on a longer term with one platform to achieve top quality, usability and value creation for users. Our entire passionate team consists of 10 full time employees.